If you're preparing to have some fun in the sun on picturesque Sanibel Island, Florida, be sure to do some research on all of the area's finest choices in hotels. When it comes to hotels, Sanibel Island offers visitors plenty of A+ options. Sanibel Inn is a cozy and tranquil hotel that provides guests with stunning Gulf of Mexico views. If you stay at Sanibel Inn, you can choose between 93 spacious rooms and suites. Families can also stay in roomy condominiums that are equipped with two bedrooms. Highlights of this hotel include tennis courts, an outdoor pool, sundeck and on-site dining establishments. West Wind Inn is an idyllic and quiet Sanibel resort hotel that has a convenient beachfront locale. 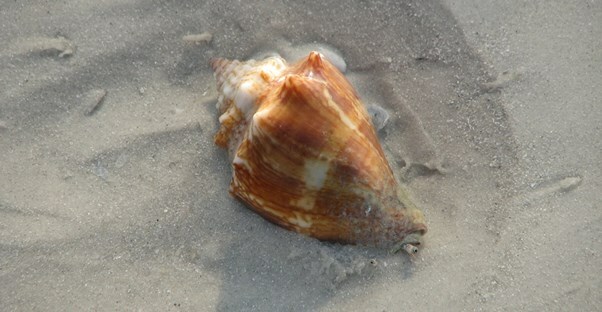 The inn is merely steps away from the shelling beach. If you stay at West Wind Inn, you can enjoy contemporary rooms that feature pleasant views of the gulf or garden. Kitchenettes with microwave ovens, refrigerators and stoves are also available. Other noteworthy amenities that are available to guests of this hotel include complimentary wireless high-speed Internet access, a poolside bar, swimming pool, air conditioning, complimentary local telephone calls and on-site pub restaurant. Seaside Inn is an intimate beachfront hotel that's just a brief drive away from the the Dunes Golf & Tennis Club. Constructed in the sixties, Seaside Inn has a peaceful and serene vibe. The rooms, suites and cottages come with amenities such as flat screen televisions, free HBO, irons, ironing boards and high-speed wireless Internet access. Guests can also ask for DVD players. Some of the other amenities that are provided to guests of this pleasant Sanibel hotel are barbecue grills, an outdoor pool, a shuffleboard court, free breakfast baskets and free bicycle rentals. If you want to explore lovely Sanibel on your own, the bicycles might come in extremely handy. Waterside Inn on the Beach is a lovely resort hotel that offers guests options in spacious condos and cottages -- all on the beach. If you're traveling to Sanibel Island with your family, this hotel might be ideal for you. The accommodations come with modern conveniences such as free high-speed wireless Internet access, attractive terrazzo floors, sundecks and microwave ovens. Note that pets are permitted to stay in certain designated units of the hotel. Not all of the units welcome pets, however. Island Inn is a cozy Sanibel lodge that has been in existence since 1895. If you wish to stay in a hotel that's a true Sanibel institution, then the Island Inn might just be the way to go. When you stay at the Island Inn, the soft sands of the beach are always just a short stroll away from your accommodations. Some standout amenities that are offered to guests of this hotel include free continental breakfasts (yogurt, pastries, hardboiled eggs, tea, coffee, juice etc. ), wireless high-speed Internet access, flat screen televisions and daily housekeeping service.